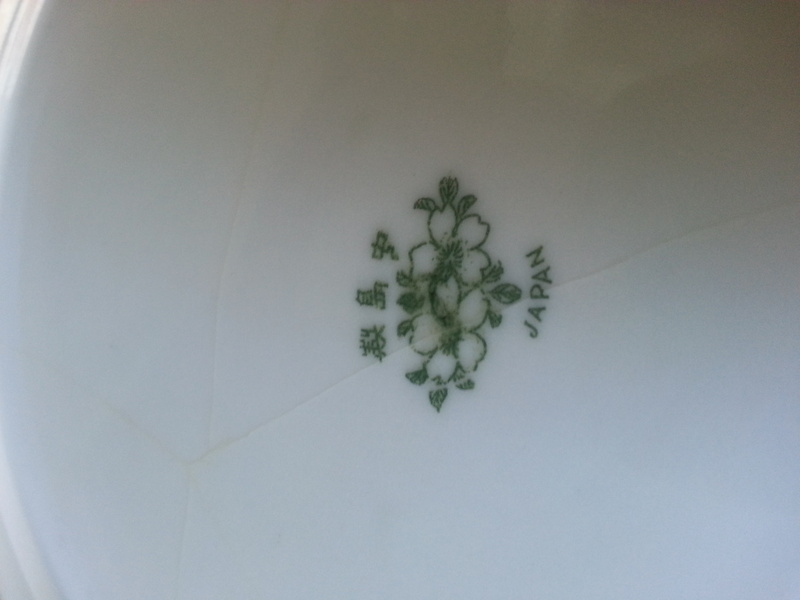 In Asian > Nippon Porcelain > Show & Tell. 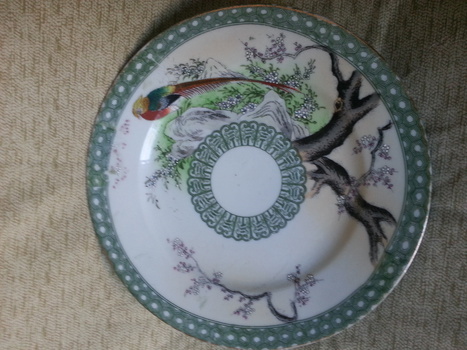 This plate is larger than a saucer approx 8". Very unusal, painting is absolutely beautiful and without fault but the patterning on the outer rim looks patched and torn... is this real nippon or a reproduction?